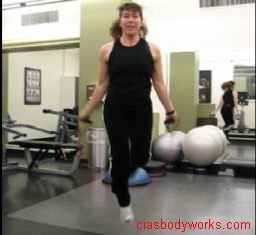 Cia's Body Works provides a wide range of Personal Training, Fitness, Dance and Yoga services, as well as Fitness Presenting and Consulting, to individuals & organizations wishing to make fitness fun! 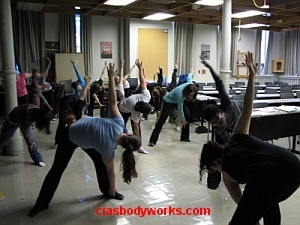 YOGA with Cia! Term Plus Yoga Mat Bundle! Great Gift! Get a great deal for yourself, or for a gift, on a Yoga with Cia Term Plus Yoga Mat Bundle. 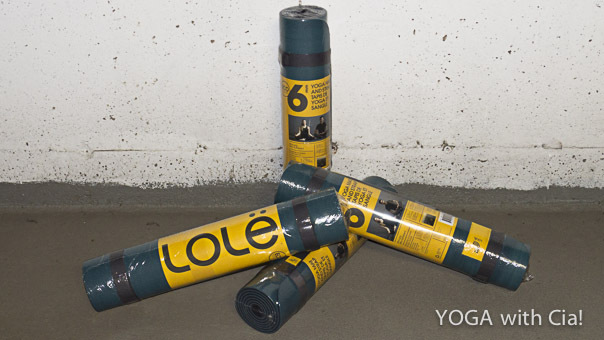 Get a fourteen week term plus a 6mm Lole yoga mat and strap for only $99. While supplies last, all sales final, no returns or exchanges. This Month, try SKINNY YOGA with Cia! A Slender version of our Fun & Easy, evening classes! Choose from 3 fun, $5-9, weekly Yoga classes to come and enjoy this month. 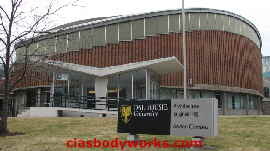 Conveniently located at St, Andrew’s gym, 6036 Coburg Rd., just a few minutes walk from Dal. Dalhousie Univ., U of Kings, St. Marys U, NSCAD, and Mount St. Vincent students welcome. YogaWithCia.com or Contact Us for more info. March 30th 2019, 6 pm - midnite. 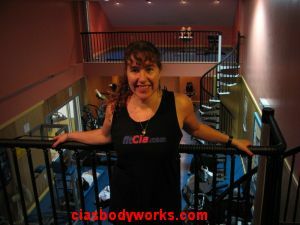 3 Fun sessions with Cia! Warm-up with Cia at 6. Zumba with Cia later on. Yoga with Cia even later! ALS Walk Strong June 9th. 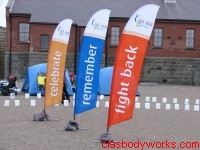 HRM Relay For Life June 15th. Come try a fun fitness class. YOGA with Cia! at St. Andrew’s. Mondays at 5:00 - 6:00 pm. Tuesdays at 12:15 - 1:00 pm..
Thursdays at 5 - 6 pm. M. T. & W. 1:05-1:50 pm. NSHA staff fitness is in progress. Cia warmed up participants of the Canadian Breast Cancer Foundation’s CIBC Run for the Cure on the Halifax Commons. Enjoyed Cia’s warmup, on the Halifax commons! Thank You to everyone that joins in the success of these events... Your help supports very worthy Charitable Events each year, for which Cia provides the Fitness Warm-up! We would love to see you come out and participate next time! Click on the logos to find out more about these great events! Click here for photos! 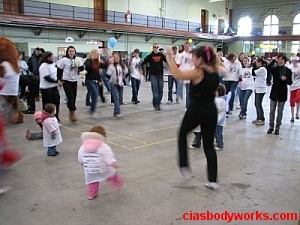 Cia warmed up the kids & participants of the Wishmaker Walk for Wishes Oct. 2010 on the Halifax waterfront. Relay For Life 7 pm - 7 am. at the Halifax Citadel. 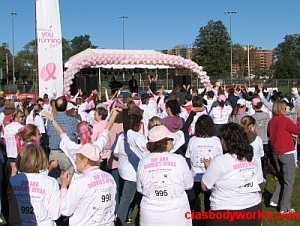 Cia warms up thousands of participants for the CBCF CIBC Run for the Cure on the Halifax Commons. Cia gets a ‘little’ help warming up the participants of the 2008 Halifax WishMaker Parade for the Children’s Wish Foundation. Cia provided the Warm-up for the Terry Fox Run in Point Pleasant Park, Halifax. 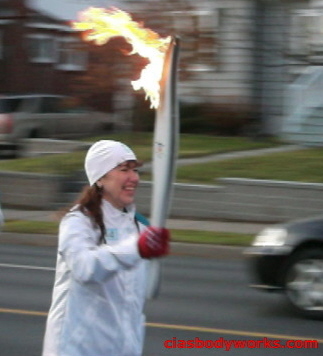 Come run/walk/bike next year. We wait all year for the opportunity to enjoy the beauty that nature in this province offers us... so get outside and enjoy it! Take advantage of Nova Scotia’s natural fitness playground this month and hit the park, boardwalk, beach, trails, or your neighborhood for a brisk walk, some body resistance exercises and maybe a bit of yoga! Bring a friend or hire a personal trainer. University of King’s College students, faculty, staff, alumni and neighbors now have access to Cia Tweel’s certified Personal Training services and fitness programs. WHY WAIT? Traveling & vacations are a great time to get some fitness in. Many hotels have a gym and would be happy for you to bring your trainer with you. 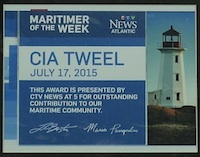 When traveling to Halifax... call Cia. 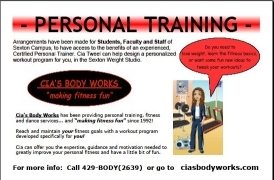 Certified Personal Training services are available to students, faculty and staff (as well as a select few others) of Dalhousie University, at the Sexton Campus - Daltech. Yoga based, relaxation workshops can provide much needed stress reduction. 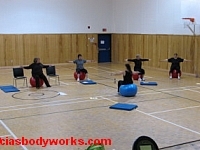 Healthy workplace initiatives can include stability balls as an alternative form of seating. Do you need a few new fitness moves to spice up your routine and liven up your class? What did you have planned for your special meeting’s coffee break? On Dal’s Sexton campus, 1360 Barrington St. Halifax. Join us for a fun, new fitness term. Monday 6-7 pm, Tuesday, Wednesday, Thursday & Friday 1:05-1:50 pm. Take advantage of fun, affordable fitness, easily! Email or phone us to find out how.